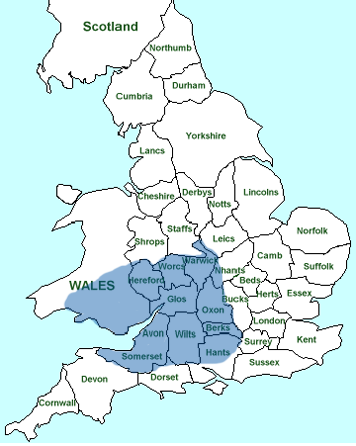 Henry Cole & Co Ltd is a primary distributor of a large range of branded feeds to retail outlets in the south midlands/south west/south Wales (see delivery zone map). With over 1200 different products held in stock from the major manufacturers of branded Horse and Animal Feeds, we can supply almost all your feed requirements. If we do not have in stock what you require, we will search it out using our Feed Finder Service. As a retail outlet you will have to handle many requests for different products from your customers. To find the right product can take many phone calls and many hours. Henry Cole & Co Ltd has introduced the Feed Finder Service to help make the process easier. Just make one phone call to us and we will do the rest. We will search out the product you are looking for or will find alternatives and endeavour to supply you or find a suitable supplier. We supply over 1200 product lines including all the leading brands for all types of animal. The colour shaded area shows our regular delivery area. If you are a new prospective customer then please contact us and we will discuss which day would be your delivery day and give you more detailed information about all aspects of dealing with Henry Cole & Co Ltd. Deliveries are undertaken on our own fleet of dedicated vehicles and as a UFAS company all staff are fully trained to ensure a quality service from product selection through to final delivery. We provide a weekly delivery service in our area of operation and deliveries to your premises will normally take place on a set day each week. In addition, we offer a telephone order service and can ring you two days prior to delivery to discuss your requirements and to take your order.